The BR Beer Scene: Chile - Microbrews! Chile is up in the World Cup of beer, and they are up today in the real World Cup in a tough matchup against Brazil. 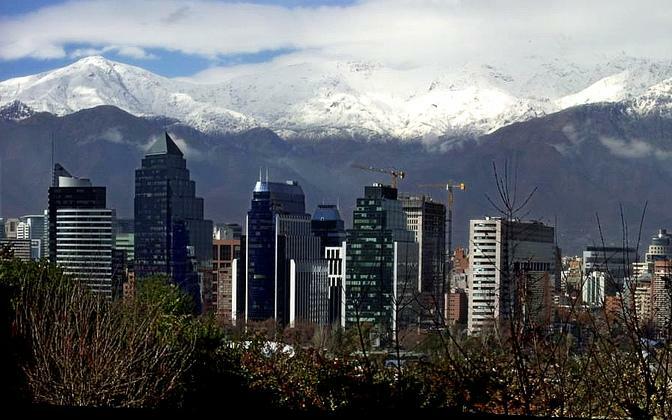 I honestly can't say I know too much about Chile... they are in South America, bordering primarily Argentina with the Pacific Ocean on one side and Andes Mountains on the other. 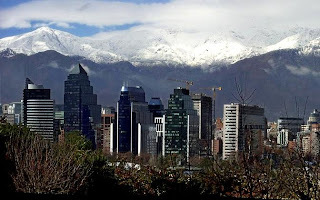 The capital is Santiago and the soccer team from the movie 'Alive' was either headed to or from Chile when they crashed high in the mountains. As for their beer, I can't say I know too much, but apparently I'm not really alone because their microbrews are one of their best kept secrets! Chile is also known for a type of corn beer known as 'chicha' but it's not considered a beer by the native population, more of a wine, and I wouldn't be surprised if Jay talks about it over on the Bite and Booze blog. So I'll leave it at that! Microbreweries stemming from the German immigrants are now quite popular and somewhat numerous in Chile. And after checking out a few of their websites (in Spanish, of course) I found that they aren't just sticking with the pale lagers and bland beer, they are trying to push the limits and introduce new beer styles to the South American market, not unlike what I found in Uruguay. Some of the microbreweries I read about included Szot, Kross Cerveceria, and Cerveza Kuntsmann, all with a wide array of appetizing styles and many with that German influence. Szot (pictured above) was started by an ex-patriot in reaction to Chile's previously bland-dominated market. Really though, just about every country I've reviewed is dominated by the bland beer... you have to dig deeper to see if there is something more there. It's great to see that with Chile's expanding economy their beer scene is expanding as well. Maybe one day some of these beers will make their way to the USA, or if not, maybe I can make my way to Chile! The Bite And Booze post on Chile. Special Honduran Beer World Cup Update! Algeria - Victim Number 3. Nigeria - Where Guinness Is King! Cameroon - Save Your Beer Caps! Slovenia - Victim Number 2! Uruguay - A Lot Of Promise. Paraguay - A Beer Wasteland? Serbia - It Appears They Love Their Beer! Beers around the World... 2010 World Cup style!